These papers cluster around two themes: astronomical inspiration in the visual arts (including sculpture, digital media, and dance) and in the storytelling arts (including literature, poetry, and planetarium production). Topics include astronomical symbolism in the works of Carl Sandburg, Albert Camus, and British travel writers; changing depictions of Saturn from Augustus to Galileo; and astronomically-inspired contemporary art and sculpture. 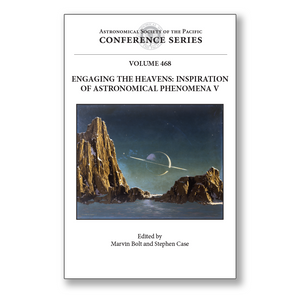 These studies provide compelling insights into the diverse intersections of science and art through our historical and continued engagements with the heavens.